During the airing of last week’s BET Hip Hop Awards, Eminem dropped by and spit out a freestyle cypher called "The Storm." The lyrics of the freestyle rap take aim at President Donald Trump and his various, according to Em, missteps since taking office in January. Eminem basically slaughters Trump for how he’s handled current events and his presidency. 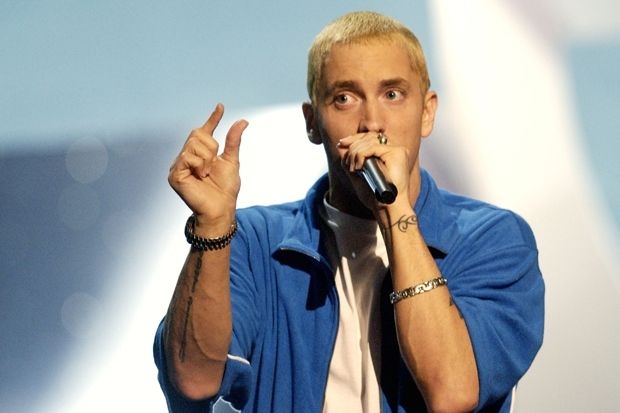 Although Eminem isn’t the first rapper to trash the current U.S. President, he overshadowed all the previous anti-Trump efforts from the likes of Kendrick Lamar and Chance the Rapper by going explicit and garnering over 8.7 million views in just days. The New York Times explained that the reason why Eminem’s anti-Trump freestyle is generating such overwhelming attention is that fact that he’s white. According to the NYT, “The fact of Eminem’s whiteness, though, also means that he reaches a different listener.” When black artists like Kendrick Lamar or Aminé blasts Trump, they are preaching in behalf of the black community. When Eminem does it, there’s a good chance that Trump supporters are actually listening.